Bill's OBX Beach Life: WIN a Starboard Kode 103 Signed by Kevin Prichard! 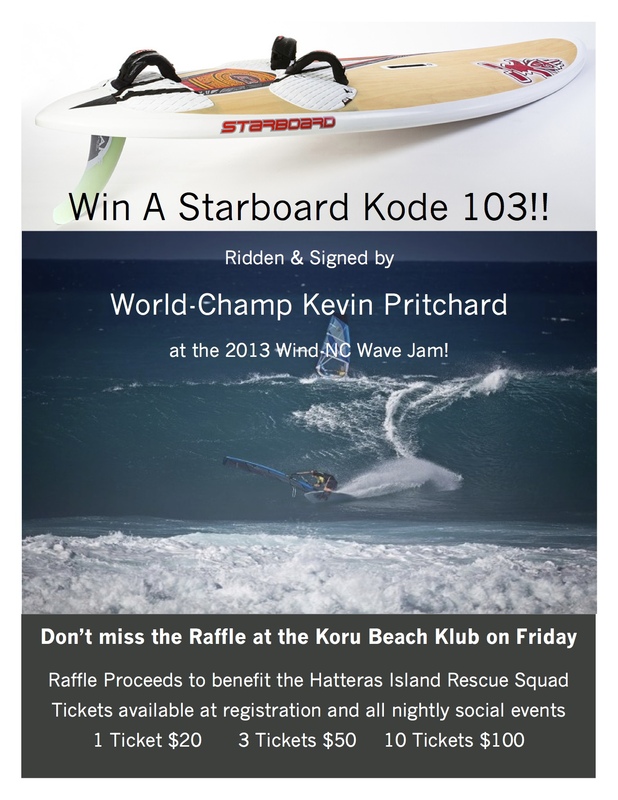 WIN a Starboard Kode 103 Signed by Kevin Prichard! The AWT Hatteras Wave Jam, supported by title sponsor, Wind-NC is offering a Starboard Kode 103 ridden and signed by world champion legend wave sailor, Kevin Prichard! Kevin will be participating in the Hatteras Wave Jam and riding the board during the event. At the closing party held at the Koru Beach Club on Friday night, Sept 20 the board will be awarded via raffle! Do not miss this opportunity to win a new windsurfing board at the AWT Hatteras Wave Jam with bonus being that it will be fine tuned and autographed by Kevin Prichard! AWT Hatteras Wave Jam 2013 Here Next Week! Billy Mitchell and Fun Down the Line! Saturday SUP Sesh at Conch St, Nags Head! Time to Get the Party Started?! A Windy and Wavy Wrap for June! The Hatteras Hiker and Ego Beach Action!